I was about to write a fairly normal review of what is truly an exceptional hotel, the St. Anthony in San Antonio. As I thought about it a little more though, I decided instead that I would use my experience at this property, part of Marriott’s Luxury Collection, to share some of the most important aspects of any great hotel. Not every hotel is made the same and, believe me, I certainly don’t enjoy every experience in the same way. My time though at the St. Anthony was so perfect that I think it serves as a great case study to show the importance of these four qualities not only at this hotel, but any hotel. 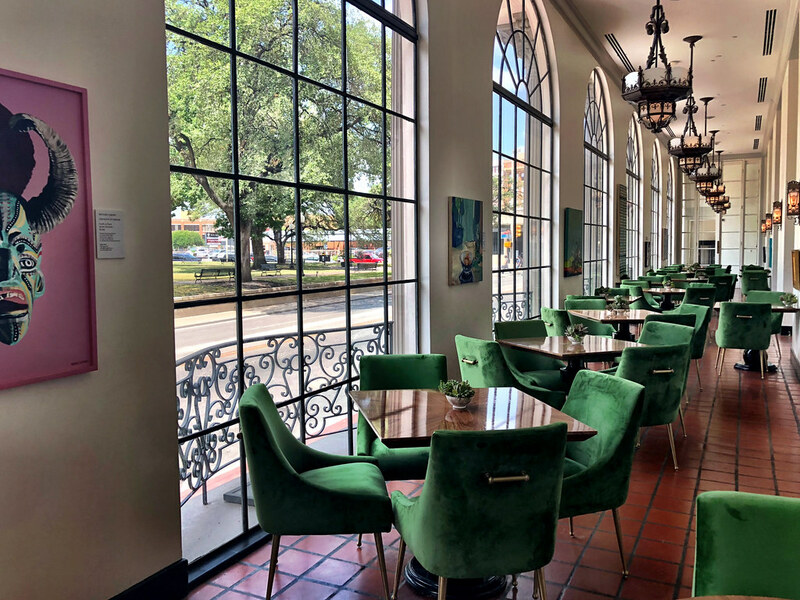 I stayed at the St. Anthony as part of my Texas Road Trip project with Marriott Americas but, as always, all thoughts and opinions are entirely my own. When I was a much, much younger traveler, I didn’t think a lot about location. I was far more price sensitive and would often book hotels on the outskirts of town, all in the effort to save a few bucks. It didn’t take me very long though to realize that location is arguably the most important aspect of any great hotel. Choosing a well-located hotel isn’t just a nice convenience, but it saves both time and money throughout the course of a trip. The ability to walk easily to main attractions and restaurants instead of taking a cab or Uber is a money saver, but many people don’t consider the value of their time as well. When we travel it’s important to make the most out of our limited time away, and personally I’d rather spend it enjoying myself and not en route to somewhere else. That’s one of many reasons why I was so happy to stay at the St. Anthony while in San Antonio. A historic property, this 109-year-old city-intuition is in arguably the best location in town. It’s a couple of blocks from the River Walk, which guarantees easy access without some of the noise that can at times be associated with this popular tourist attraction. But the St. Anthony is also within easy walking distance of the Alamo and some of the best restaurants in the city. Driving in was easy, as was the hotel’s valet service that allowed us to text for our car whenever we needed it. The entire experience was seamless and the location of this luxury hotel alone helped me much better enjoy my time in San Antonio. I mention this almost every time I write about hotels, but that’s an indication of its importance. Luxury is not only about the trappings, about the finishings. Anyone with enough money can furnish a hotel with nice things. No, instead a true luxury experience is always necessarily defined by the service it offers guests. It’s a quality that can’t be purchased, it has to be a part of the hotel’s culture among its staff and, thankfully, it’s also a quality I found in great abundance while at The St. Anthony. The issue with writing about wonderful service though is that it’s normally found in the smallest of details and not in some grand gesture. But these small details matter and, at the end of a stay, add up to a great deal. Whether it was the exceptional kindness from the front of house staff or the fact that the valet drivers always made sure that I had icy cold bottles of water in my rental car, the service at the St. Anthony was without flaw. Service though also comes from basic kindness. While enjoying a drink at the hotel bar, I listened in as the bartender chatted with other guests nearby. Apparently it was not their first visit to the bar and they had become friends with the bartender. As he left for a break, he said that he may not see them again and wished them a wonderful trip. It was almost a tearful moment but a sweet one. That kind of service and friendliness is important and I know transformed my own experience at the hotel into something truly remarkable. Granted, service is important but so are all of those style points. Everything has to come together in order to create a truly great hotel, which occurs in spades at the St. Anthony. Historic hotels have a challenge: they have to honor their long histories while also serving the needs of the modern traveler. 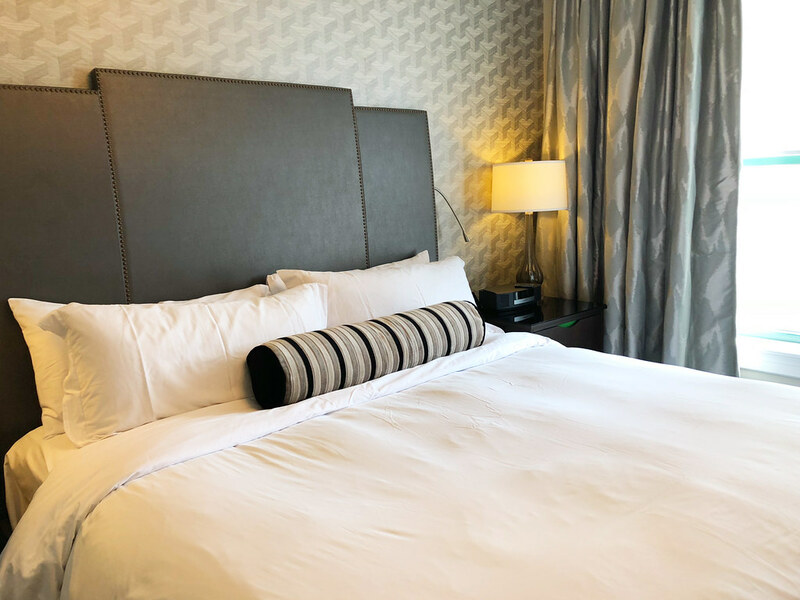 Some succeed more than others, but a recent refurbishment at the St. Anthony means that this hotel is ideal for the traveler who wants all of those comforts along with an impressive past. During the remodel, owners reduced the number of rooms allowing designers to create larger rooms with more space to spread out and relax. With defined spaces for work and rest, my room was perfect and allowed me to be productive when I needed to be and, well, not when I wanted that as well. The design, along with the hotel’s signature colors, carries on to the public spaces as well which also honor the past without being old fashioned or stuffy. It’s a very hard balancing act, but the St. Anthony manages it with ease. Just as any destination has an appeal that is hard to define, so do hotels. Even more importantly, when hotels and cities become intertwined in nearly every way, then you have something truly special. The St. Anthony is as much a San Antonio institution as is the Alamo or the River Walk, and it takes that legacy very seriously. Everyone working there wanted me to truly enjoy their city, which they seemed to love as well. That’s a special experience and it’s this intangible aspect of my stay that meant the most to me. There are a lot of options when visiting San Antonio, including 40 Marriott properties alone. I’m a luxury traveler though and for my money I know that whenever I return to San Antonio, there is only one hotel for me – the St. Anthony. I couldn’t agree more with your definition of luxury. Small gestures just add up to the experience to a whole new level. I agree with your feedback both about the St Anthony and the ideal hotel experience. I stayed at St Anthony recently, avoiding the conference hotel, because I wanted a much more unique experience. And I remarked to myself at the time that St Anthony was a much better than average experience. Great article, Matt.